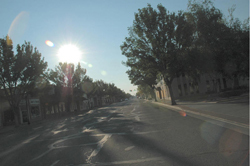 In the central portion of Southern Colorado, you will find the small City of Alamosa. Alamosa is the county seat of Alamosa County and is situated along the Rio Grande in San Luis Valley. If you are looking for a peaceful place to live that offers breathtaking scenery, Alamosa is the place for you! A livable city with a flourishing economy, Alamosa is one of Colorado’s best real estate opportunities. The city boasts distinguished schools courtesy of the Alamosa School District, a robust transportation infrastructure and a modest cost of living. Alamosa CO homes and other Alamosa CO real estate choices come in a wide variety of great choices and offer many size, style and price options to choose from. Alamosa homes and Alamosa real estate are ideal for retirees, young professionals and families seeking a livable and affordable city. Alamosa homes for sale include comfortable single-family homes as well as affordable starter homes and historic townhouses. Alamosa properties enjoy reasonable prices, strong value and excellent quality, making them highly coveted by local homebuyers. Alamosa was established in 1878 and grew very rapidly as a regional railroad and transportation center. The city thrived throughout the 20th century as well, diversifying its economy and attracting a wide array of new families, professionals and retirees. Today it is known for its high quality of life and affordable real estate market, making it one of the most desirable places to live in the region. Alamosa, COThe city hosts the scenic Great Sand Dunes National Park and Preserve, one of Colorado’s natural treasures and a great spot for hiking, biking and sightseeing. It also holds a number of parks and spaces such as Cole Park, Cattails Golf Course and a number of scenic trails and woodlands to explore. The community is ideal for recreational activities such as mountain biking, hiking, mountain climbing, fishing, hunting and camping. Located on Old Sanford Road just minutes away from Alamosa CO homes, you will discover the Alamosa Family Recreation Center and Cole Park. Cole Park offers many great amenities including hiking and biking trails, a dog park, several athletic fields, a newly designed skate park, and a disc golf course. The Alamosa Family Recreation Center is the perfect place for people to go and participate in such activities as swimming, basketball, volleyball, physical fitness and ice hockey. AFRC also offers a variety of enrichment classes in such areas as Taekwondo, Kinderjam, Pottery and Painting. One of the benefits of being an Alamosa home buyer is that there are many great Area Attractions nearby. The area is teaming with exciting outdoor attractions, and some of the more popular locations include Zapata Falls, Alamosa National Wildlife Refuge, Little Medano Creek and the Great Sand Dunes National Monument. If you are interested in finding kid-friendly attractions near Alamosa real estate, you may enjoy visiting Sand Dunes Recreation Hot Springs Pool, the Colorado Alligator Farm and Alamosa Ranch. Are you interested in History? 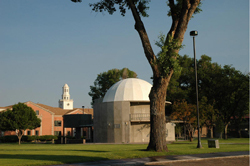 Be sure to check out Fort Garland Museum, San Luis Valley Museum and Luther Bean Museum. Another premier attraction is the Rio Grande Scenic Railroad, which boasts spectacular views and excellent sightseeing opportunities. From history to culture to leisure, this city has something for everyone. There is always something happening near Alamosa home. Alamosa’s most popular attraction is the famed Summerfest on the Rio festival. This special event is held in June and highlights such festivities as arts and crafts, live music, tasty food, fun activities, and exciting live entertainment. Another event that takes place near real estate in Alamosa is the Alamosa Round-Up Rodeo, which takes place every June. During this event, you can enjoy such entertainment as a demolition derby, bull riding, a truck derby and a thrilling parade. Other events near Alamosa properties include the Alamosa Ice Fest in January and Crestone Music Festival in August. Residents also enjoy the Early Iron car show, activities at the Alamosa Public Library and Cole Park and much more throughout the year. Homes for sale in Alamosa and other real estate in Alamosa offer attractive designs, affordable prices and a prime location. Those looking at becoming an Alamosa home buyer should contact us to find out about the city’s superb real estate choices and friendly community.